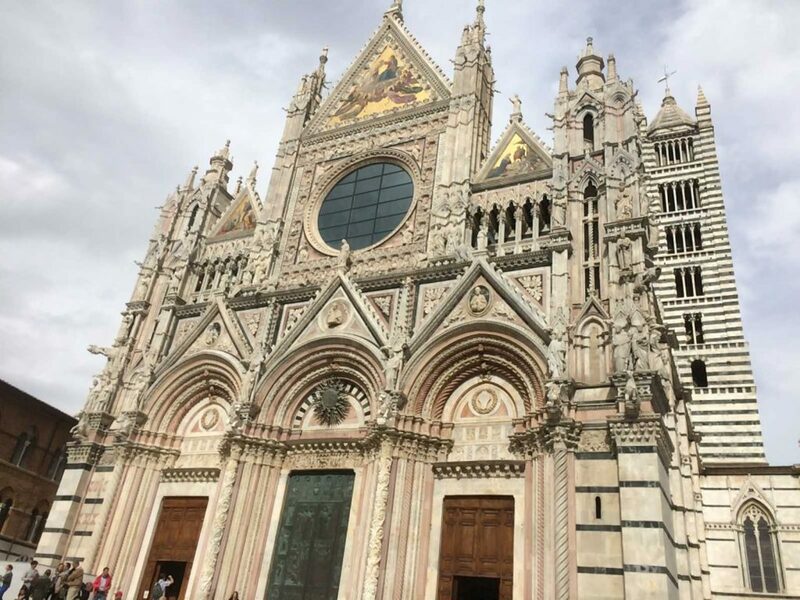 So many make the trek to Tuscany, and invariably include a stop in the city of Siena and rightly so, it is an amazing place to visit. This is why Bike Florence & Tuscany encourage their guests, especially in their one day bike tour Crossing Chianti to Siena, to make the most of their 2.5 hour stop in the city by visiting in the company of someone who is in love with the city, taking the time to point out the many wonderful aspects sometimes hidden to the untrained eye. 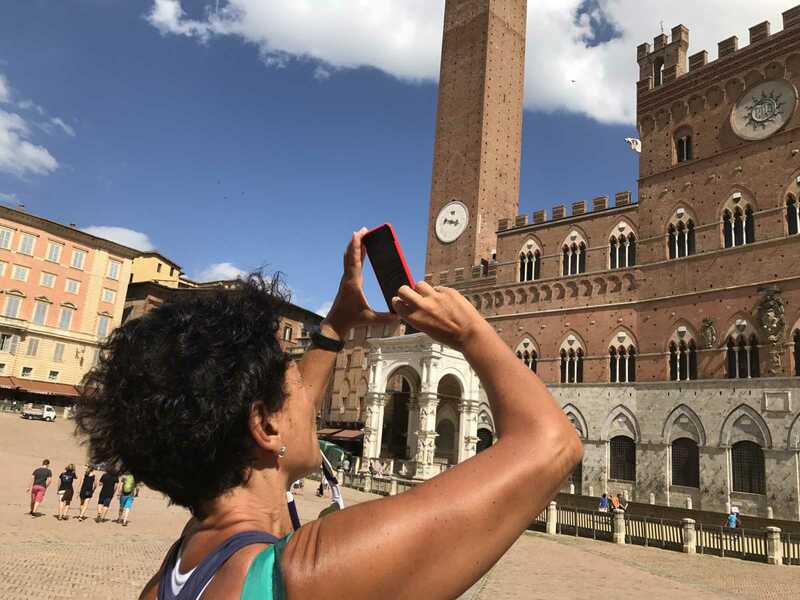 Adele Vaglio, a trained guide for Siena and the province, calls the city her home and with just a half day tour in her company will have you falling in love with Siena in a way you never thought possible. 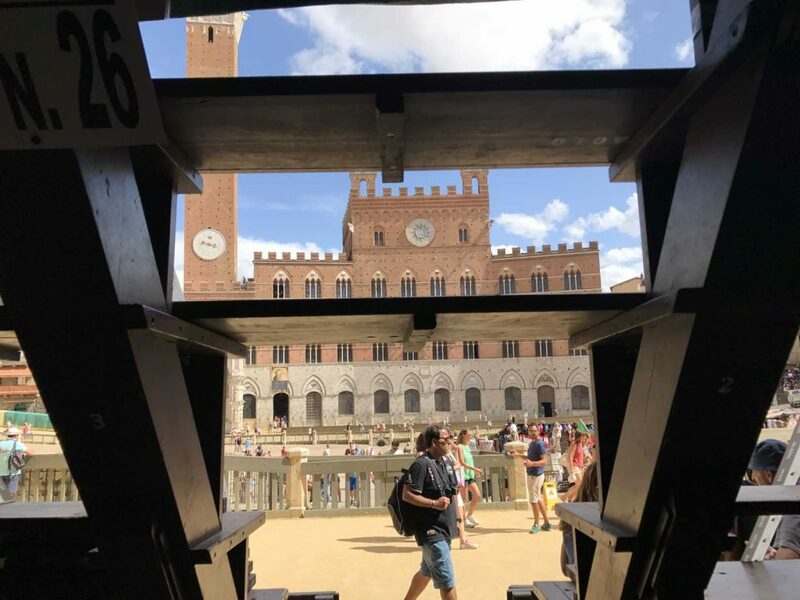 – the Palio, which is not just a holiday but a way of living the city and its history. But if I had to sum it up in only three words Siena is: beauty, uniqueness and passion. Elena: What is the Palio for you? Why do you still practice it in Siena twice a year? Adele: The Palio is a way of sharing in the community (the Contrada) and it is an experience of joy or pain. It is a great metaphor for life: it is only through common effort that it is possible to achieve the goal of victory, to be pursued day by day, through economic and strategic efforts that all Counselors pursue as a volunteer. The Contrada does all this without claiming anything in return other than the honor of having a role in the race, or during the historical procession of the Palio, or to wear our colors. Sometimes, though, our efforts aren’t enough. However, we must always remain united; it is necessary to accept the defeat and carry on until the next time. The Contrada is also the place where history is passed down, unchanged through time: the elders teach the youngsters the songs, the stories of the past and the events of the past, explain the traditions to be kept and the importance of the sacrifice for the common good. Elena: Why two dates, July 2 and August 16? Adele: In Siena there is a Marian Cult, which exalts the Blessed Mother ( the Madonna), so the Palio runs twice a year because July 2 is in honor of the visitation of the Blessed Virgin Mary (worshiped in the Basilica of Provence), while on August 16 the Virgin Mary is worshiped in the Cathedral. Elena: What contrada do you belong with your family and what role does your husband have in the district during the Paio di Siena? 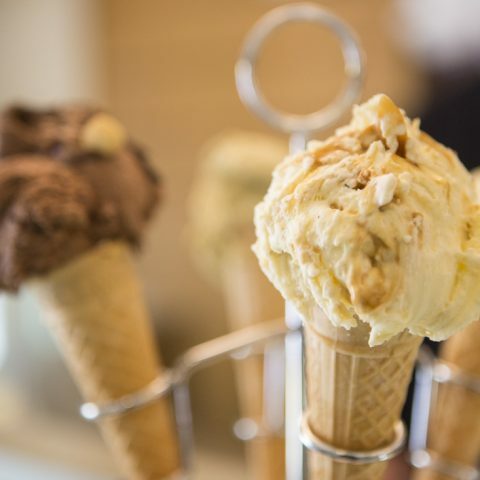 Adele: My family belongs to the Contrada dell’Onda and my husband, for some years now, is in charge with “barbaresco”, that is, the person who in the four days of Palio takes care of the race horse that the Contrada has had in sorte. When I say four days I mean 96 hours, because my husband and his deputy sleep in the stable, never leaving the horse alone. If anything would happen to the horse, than the Contrada could not participate in the Palio. 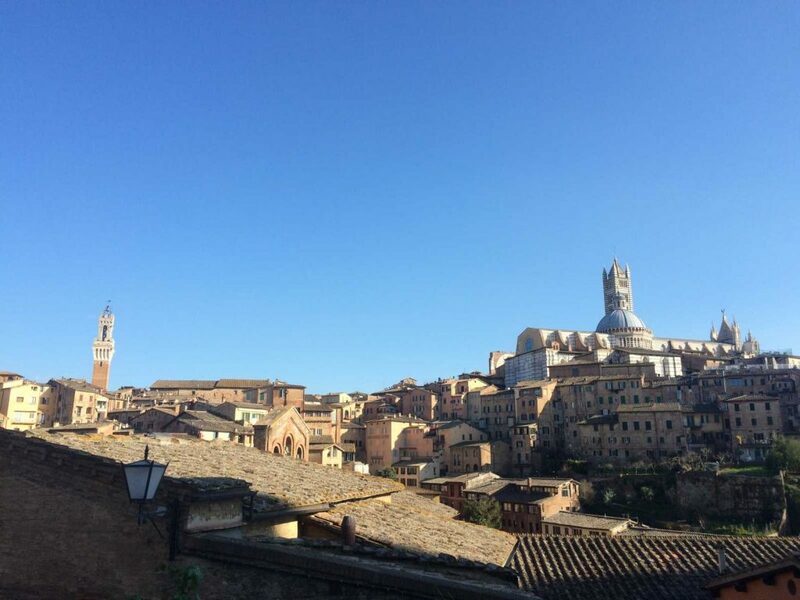 Elena: 99% of our guests will be going to Siena and with only 90 minutes available, what would you show them to spark their imagination and love for Siena? 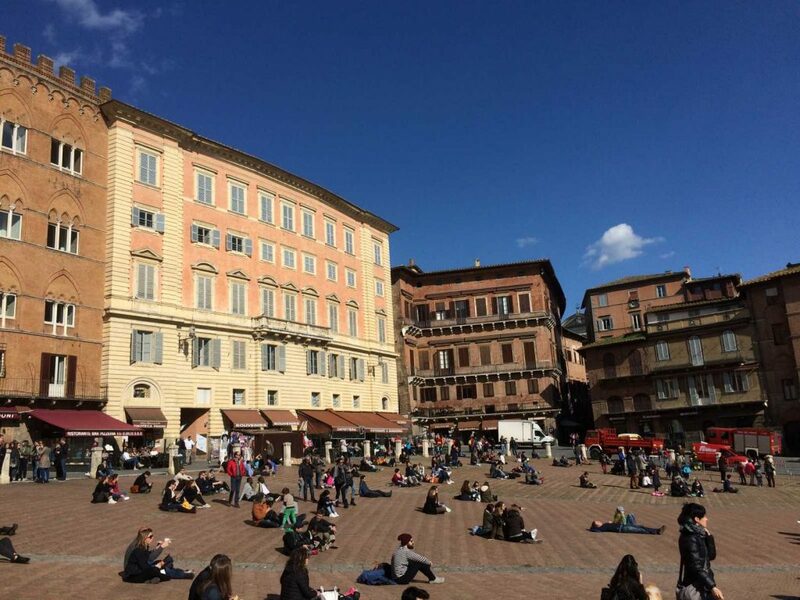 Adele: As I have said Siena deserves to be visited, and if possible lived. I usually try to understand from the first meeting what are the main interests of the visitors: history, art, traditions, gastronomy and according to them I decide the tour. For those who visit Siena for the first time and do not have much time to do it, I like to show them the Basilica of San Domenico, where they can find the relics of of Santa Caterina, then the historical site of Banca Monte dei Paschi, Piazza del Campo and Il Duomo. I also try to weave in a bit of history to give them a 360° view of my wonderful city. 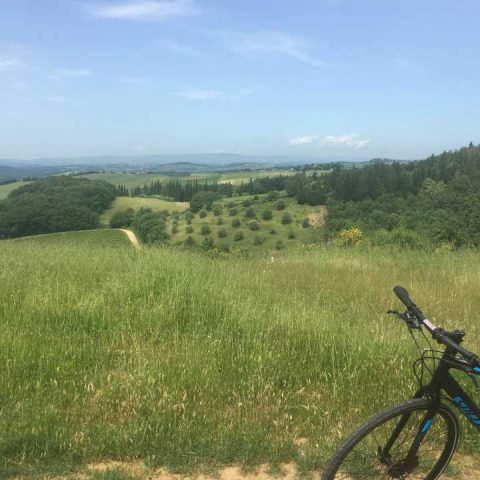 After you have booked your one day bike tour with Bike Florence & Tuscany – write Adele an email (adelevai@yahoo.it), and have her save the date for you. 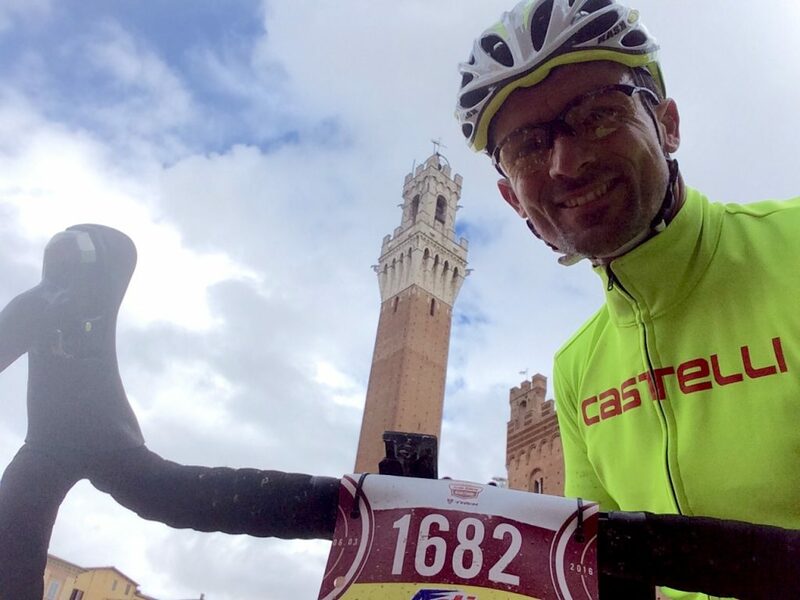 This is really the only way to see the best of Siena!